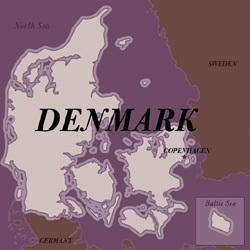 Salt Traders is the exclusive United States importer of Danish Viking Smoked Sea Salt. The salt is made in a style devised by the Vikings. Thanks to the efforts of one man in Denmark, who took it upon himself to rekindle this millennium-old tradition, you can experience this amazing salt here in the US. The salt is smoked using several different woods and "The resulting salt," according to the April 2002 issue of SAVEUR Magazine, "tastes like a bonfire." No other smoked sea salt has the depth of character and flavor as the Danish Viking Smoked Sea Salt. *Please note, this is a moist sea salt with a light stickiness. Because of its artisanal nature, batches will vary in moisture content and texture. Season steaks and chops after cooking. Great on fish, especially salmon. Season bean or lentil soup. Toss with steamed vegetables and unsalted butter. Use in creamed corn or corn chowder. Sprinkle on savory tarts and quiches. Season any of your favorite egg preparations. Sprinkle on baked or mashed potatoes. Use a few grains in a Bloody Mary for a smoky twist on this classic cocktail. Add a few grains to a bowl of ice cream with chocolate or caramel sauce. Its hard to explain what just one granule of this does to ones pallette. I saw colors and heard sounds...my mouth watering with enjoyment and curiosity all at the same time. Reminiscent of a bon fire in Cincinnati on a cool October evening. So very incredible. Worth every penny. This is the best smoked salt I have ever tasted. A few grains on all kinds of food gives a nice smoky taste not a bitter one. I like it on eggs especially. I have used it for many years. I have found no other salt like this anywhere. I have purchased other smoked salts and they are fine, but nothing comes close to Danish Viking Salt. It is so fragrant, just the smallest amount gives the richest open fire flavor. I have used this salt since I discovered it around 2002. I can't even compare fake smoke to this real deal. It can be used as a finishing salt but I also store it in a dedicated salt grinder so I can add it to pasta, salads, soups, guacamole and more. It's awesome.